Making calculation assignments faster, more accurate and simply better looking. "As Managing Director of BVT Engineering, I have researched several products for creating calculation sheets, including Mathcad and TEDDS. However, they all seem to be a complicated way to make a spreadsheet look pretty. 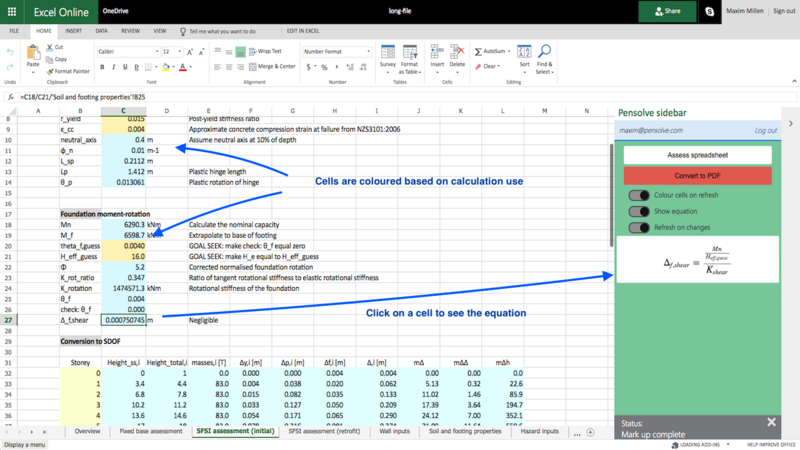 We've found that Pensolve works great to take everything that we like about working with spreadsheets, and add the best parts of what was appealing about TEDDS or Mathcad. It also lets our engineers focus on what they are good at, solving problems, rather than rearranging sheets to get them to "look right" for print. I can see realisation of considerable time savings from using Pensolve. Finally, we have found product support to be exceptional, and on-boarding to be comparatively painless." "...quickly find calculation errors and understand design decisions in engineering spreadsheets." "Make complex spreadsheets easy to read and share." "Essentially it is an X-ray for spreadsheets." Pensolve is completely online - No installation required!